BSN Elastomul Non Sterile Elastic Gauze Bandage is a non-adhesive, elastic bandage for fixation and offers a precision fit, even in areas where there is constant movement such as the elbow or knee. 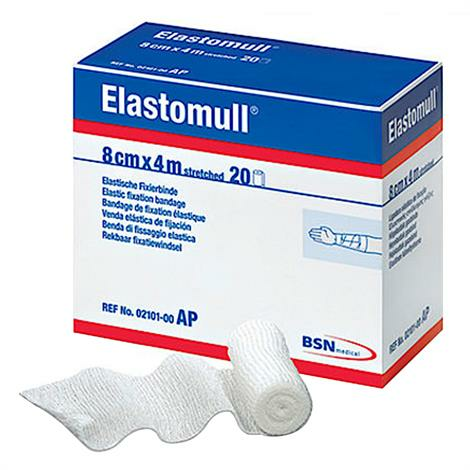 Features superior performance and stretchability in controlling bleeding or edema. It has a high cotton content and is virtually lint-free, reducing risk of particle contamination.